Here I find myself doing something I never thought I’d do — reference a-ha in an Exposé review. Savoy is a band well-known in certain circles, namely those centered around that Norwegian band who made the international big time with “Take on Me” back in 1985 and have carried on intermittently since without another international hit, though many devoted fans stuck with them after the spotlight moved on. That group was a trio consisting of Morten Harket (vocals), Magne Furuholmen (keyboards), and Pål “Paul” Waaktaar Gamst (guitar); in the mid-90s, during a period of inactivity for the band, Waaktaar Gamst (using the name Paul Waaktaar-Savoy since his marriage to American singer Lauren Waaktaar-Savoy) formed Savoy with his wife and drummer Frode Unneland. 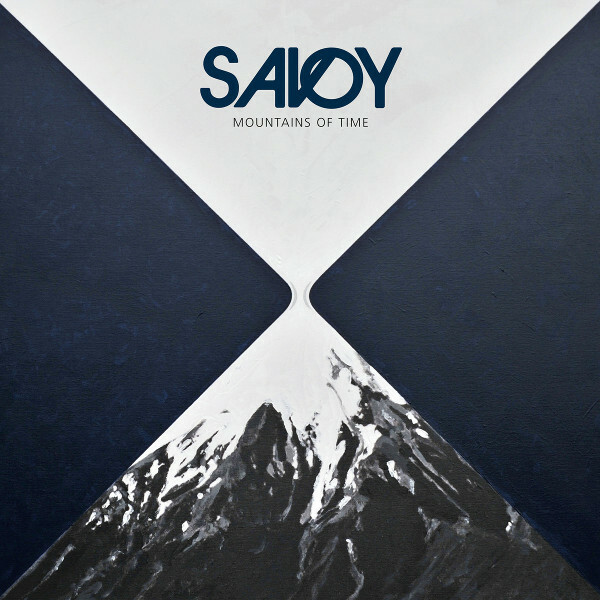 Mountains of Time was their third album, originally released in 1999, and is being reissued by Apollon Records along with its predecessors. The music is superbly polished melodic pop-rock fronted by appealing male and female voices, though some may be put off by Lauren’s tone, which many Youtube comments describe as “nasal” (I don’t find her singing unpleasant at all). While the music is impeccably produced, it doesn’t feel artificial in the way that much contemporary pop does, with quantized beats and autotuned vocals. Guitars and bass dominate the arrangements, with keyboards and backing vocals providing support, along with occasional orchestral touches from strings and brass. One aspect I particularly like is the aggressive, slightly distorted tone the bass often has. The songs have varying degrees of electronic sounds, mostly percussion. The lyrics are intelligent even when dealing with standard topics such as relationships. For listeners who enjoy smart pop-rock along the lines of Crowded House, Teenage Fanclub, The Posies, and the like, Savoy provides another strong choice.